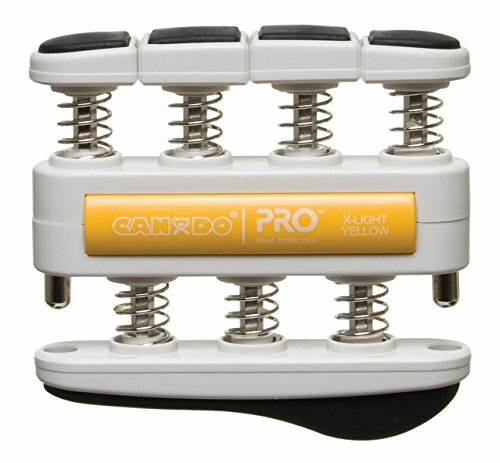 The CanDo PRO hand exerciser develops isolated finger strength, flexibility and coordination as it builds hand and forearm strength. Hand exerciser for larger Hands. Great for sports medicine and athletic training. The exerciser has heavy tensions and a 5 color-coded resistances with soft finger pads.